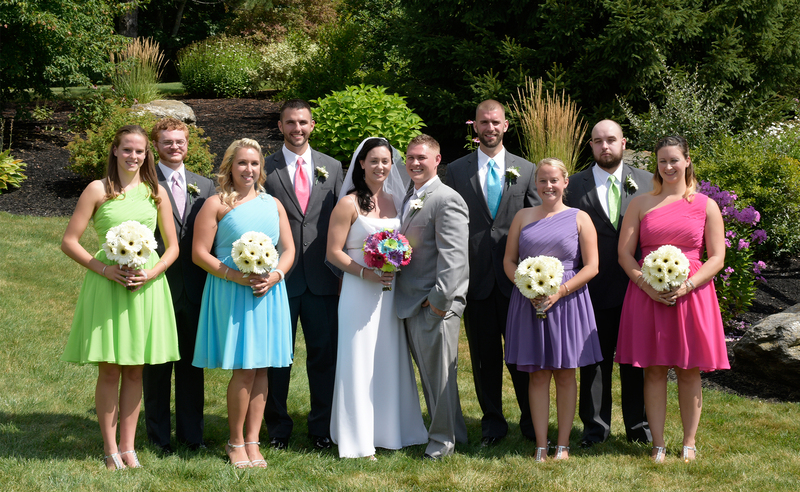 Emily and Kyle tied the knot at the Colonial Hotel in Gardner, Massachusetts. 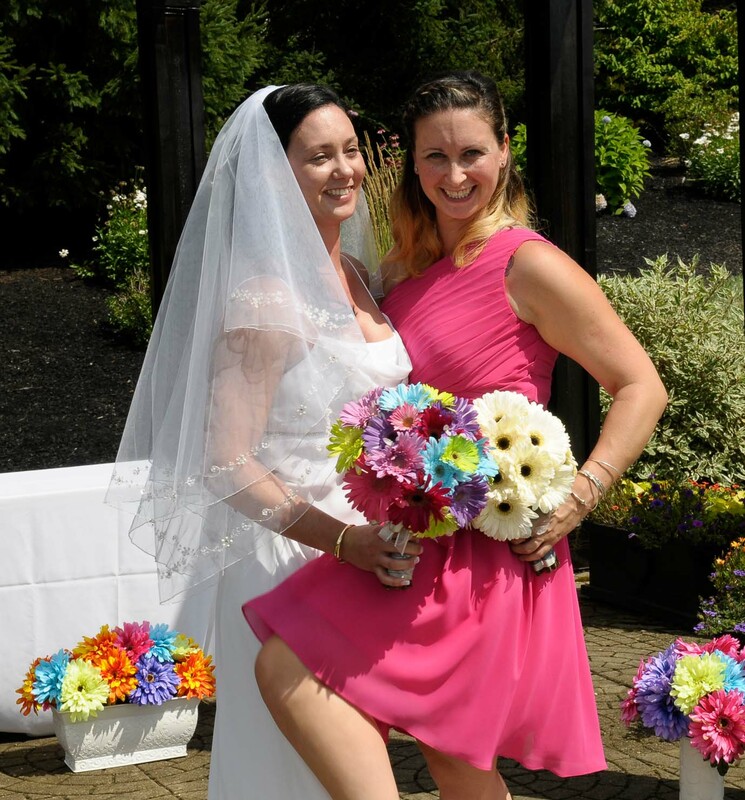 The wedding was planned around the floral arrangements, with a light, summery theme. 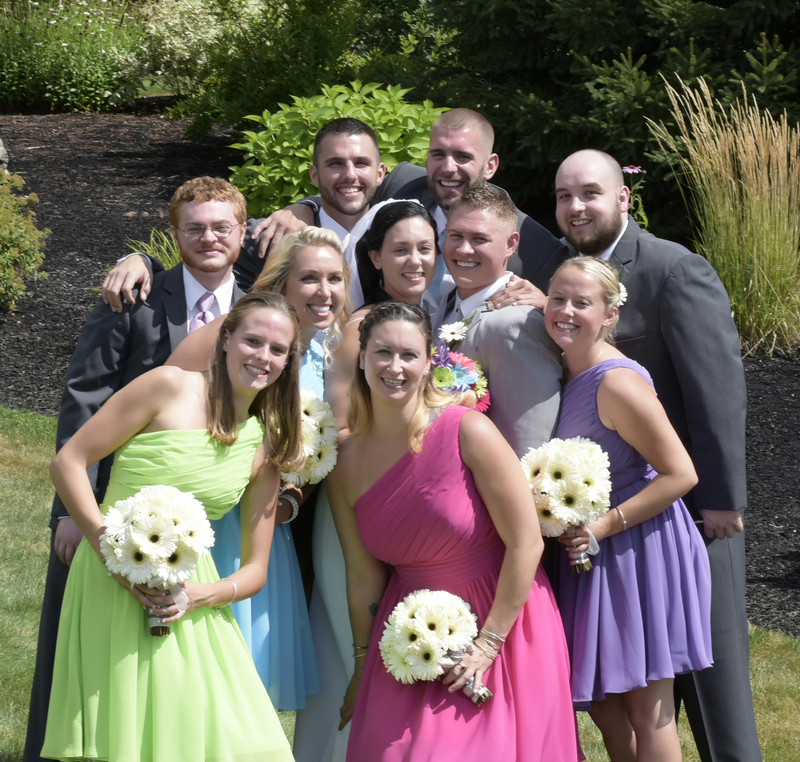 All her bridesmaids dazzled in a rainbow of one-shoulder chic style in Katrina. All photos were taken by Photography by Joanna. Q: Why did you choose the Colonial Hotel for your venue? Q: Why did you choose this color scheme? Q: What was the most memorable part of the day? 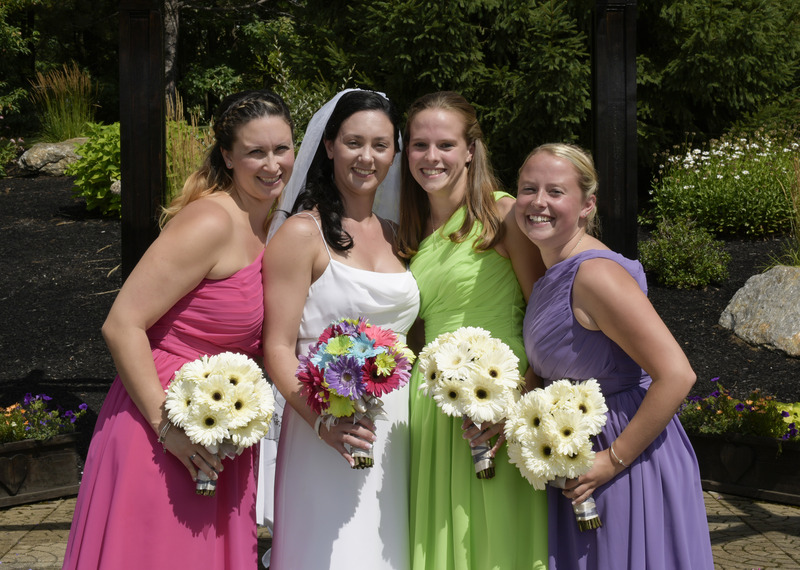 Q: Why did you choose Azazie for your bridesmaids? Q: Any advice for anyone getting married soon? Q: Describe your wedding in one word.